Canadian indie outfit Nap Eyes are continuing to tour this year's Thought Rock Fish Scale across North America and have unveiled a humorous new video for album cut "Click Clack." 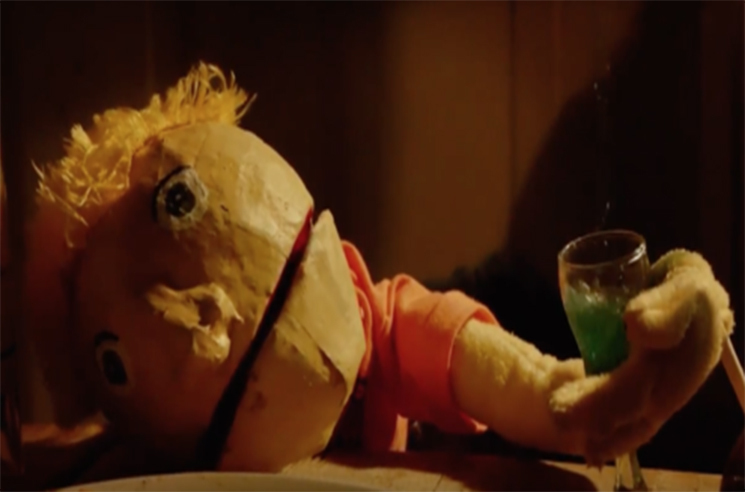 Created by Allison Higgins (Old and Weird) and Jordan Minkoff (Slam Dunk), the video sees the band members as puppets in a strange world discovered by a scientist, played by frontman Nigel Chapman. Attempting to discover more about his strange findings leads to a plot twist towards the end of the clip, with the band closing things with a cliffhanger. Thought Rock Fish Scale is out now through You've Changed Records. Watch the video for "Click Clack" in the player below, where you can also see all Nap Eyes' upcoming tour dates.